4.5 19 Be the first to write a review! Copper Life Compression Knee Brace, is the newest gentle and effective knee brace that helps support, ease aches and muscle pains. Assist in boosting athletic performance and recovery. 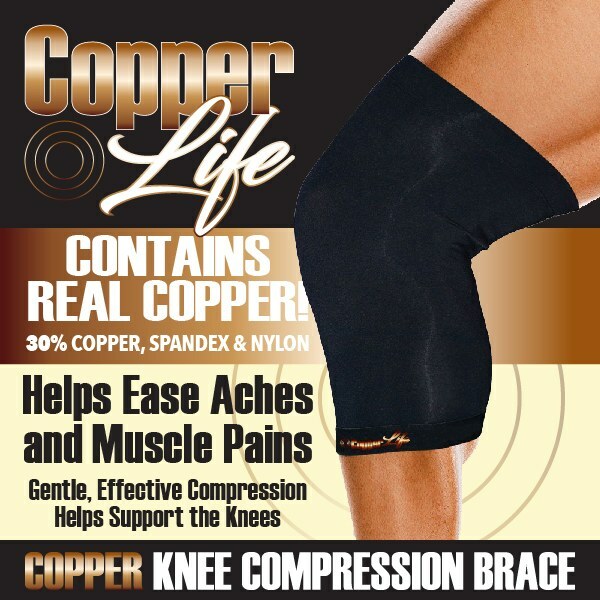 Copper Life Compression Knee Brace improves your blood circulation also helps with muscular and joint mobility in knees. One size fits most and it&apos;s machine washable.